Contracts for difference (CFDs) and spread betting have become very popular in the countries that allow them – which is most of the world, with the notable exception of the USA, where the Securities and Exchange Commission (SEC) do not permit them. They are leveraged financial products that are available on a large range of different financial instruments. They were invented in the 1990s, primarily for hedge funds and institutional investors, but spread to retail traders later in the decade. In its basic form, a CFD is a contract between a buyer and a broker to pay the difference between the current price of an asset and the final price at the end of the contract time. CFDs are a way of trading the price movements of global financial markets without buying or selling the underlying instrument directly. The fundamental idea of a CFD is that it is a contract between two people which stipulates that one will pay to the other the difference between the current value of an asset and its value at a future date. If the price of the contract goes up, the buyer “wins” and the broker pays the difference. If the price of the contract goes down, the buyer “loses” and the broker gets paid the contract difference. CFDs can be created to track the price of various assets around the world, including shares of stock and global indices, allowing traders to speculate on various markets. 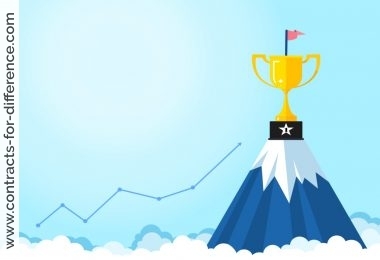 When you trade in CFDs you never own the assets, which is one of the things that makes this an efficient way of gaining profits from share price movements. 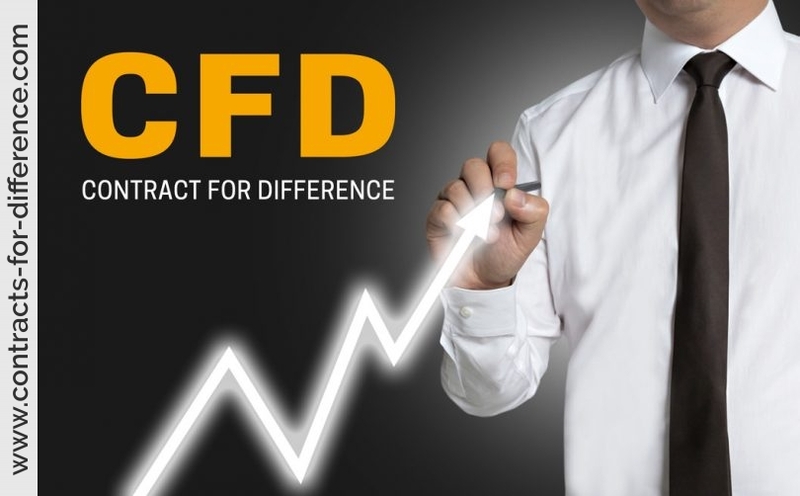 In effect, a CFD is quite similar to a future on a single stock or index and for trading stocks on margin, contracts for difference represent an efficient approach of market participation. Spread betting is very similar, which is why it is included here, but the regulations are slightly different. 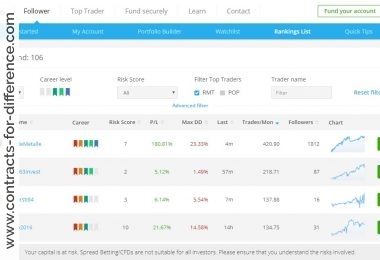 You may be required to establish that you know what you’re talking about when you set up a CFD account, but less experience is required to place spread bets. The CFD or Contract for Difference is an investment instrument that allows traders and investors to participate in the price movement of stocks or indices without full ownership of the underlying stock or index. ⇑ ⇑ ⇑ ⇑ Listen to Vanguard: What are CFDs and how do they work? Moderator: Gillian Bullock, The Australian. Panelists: Michael McCarthy, CMC Markets; Chris Weston, IG Markets; Steve Dooley, Forex Capital Trading. In simple terms a Contract for Difference (CFD) is an agreement between two parties to exchange, at the close of the contract, the difference between the opening and closing price of the contract, multiplied by the number of shares specified within the contract. There are always two parties in a CFD transaction, the long party and the short party. A client who opens a position by buying a CFD is the long party and a client who opens a contract by selling a CFD is the short party. Trading CFDs begins with opening a position in a specific asset. No expiry date is needed, although it is important to know that generally positions that exist overnight will be rolled over. This means that each night, at a time specified by the broker, the broker will calculate the profit or loss based on the asset’s value at the end of the trading day. Profit will be credited to your account while losses are debited from your trading account in addition to trading costs. Your open positions will then roll-over to the next day. Various trading costs exist depending on the type of CFD, including finance charges, management fees, commissions, and bid-offer spread. CFDs are traded on margin, and typically for shares this is about 10%. You may also pay a commission of 0.1% of the contract face value for opening and closing the position, but this varies between brokers. Because you never own the shares, you don’t have to pay stamp duty in those countries that would otherwise charge it. You can just as easily sell a stock index or share short as buy it. CFDs provide a fast and convenient way to acquire cheap exposure to a vast range of markets but they can also be dangerous in the hands of the unwary. But the real advantage of CFDs is not the saving in stamp duty, but the leverage available to trade any underlying financial instrument. 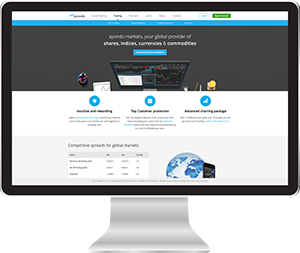 You can find many global stocks, commodities, treasuries, currencies and indices all available from the same CFD broker, saving time and complication. CFDs have also been used to hide insider dealing, because the disclosure rules only apply to ownership of the securities, and not to this type of financial interest. In the UK this was tackled with new regulations in June 2009. The theory of CFD trading is very simple, buy low and sell high, but executing that theory requires some practice. Since most CFDs are traded OTC, you are dealing directly with the broker. Most contract terms can be negotiated since no standard set of terms exist. In reality, however, even though each CFD broker offers its own terms they share several common elements. A CFD allows you to take a position in a stock without buying or selling the stock itself. The contract value is defined as the number of shares multiplied by the share price. The performance of the CFD is determined by the movement in the underlying share price. When you close out the position, your profit/loss comes from the difference between the opening and closing contract values, hence “Contract for Difference”. As you do not buy or sell the underlying stock you are not obliged to acquire or deliver the physical shares. In practice, you will have an account at a CFD provider, and although there is no standard contract in the industry they all tend to be the same in most matters. To trade you simply open a position with the provider. There is no fixed expiry date, so the position remains open until you choose to close it. The charges for CFD trading include the bid and ask spreads, commissions which are sometimes charged, and interest charged on a ‘long position’. Interest is charged every day that the position is held overnight. Thus CFDs are not designed as long-term investments. With CFDs it is just as easy to open a ‘short position’, and that pays a nominal amount of interest to your account. The other important fact is that the CFDs are marked to market each day. This can expose you to a margin call if there is a downturn. The CFD market most closely resembles futures, except there is no time decay as there is no set expiration date. CFDs are financial derivatives that mirror the performance of the underlying financial asset. Your profit or loss depends on how well that asset performs. 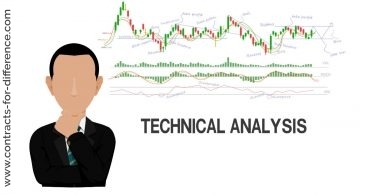 CFDs are generally short-term trading tools, since most are not held for long periods of time. 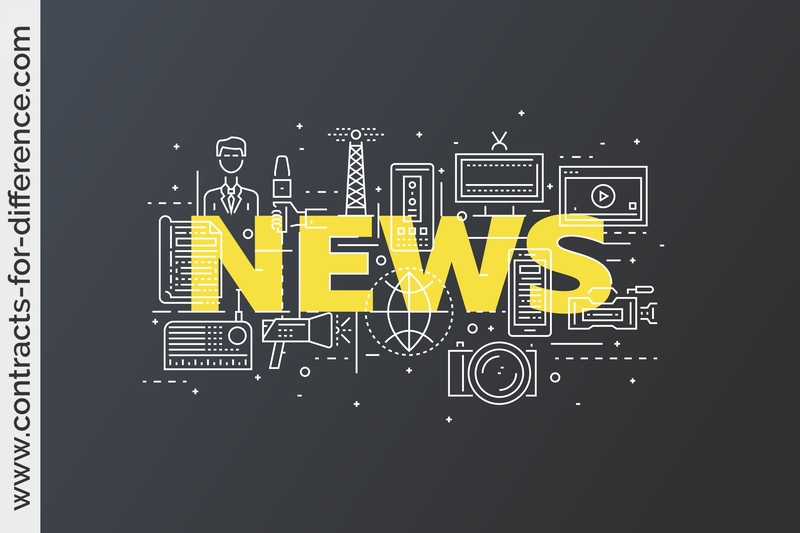 They are mostly over-the-counter (OTC) financial tools, meaning CFDs are financial instruments that are not traded on an official stock or futures exchange. Instead, parties deal directly with each other, avoiding the requirements that exchanges place on trading parties, such as contract sizes and incremental purchase amounts. 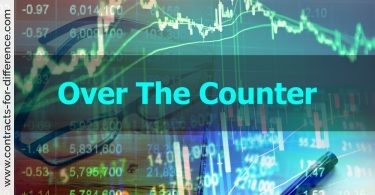 Instead of having to go to a specific exchange for a specific item, investors can begin trading CFDs from one central platform on their computers. Why trade CFDs rather than Physical Shares? Margin flexibility: CFDs are traded on margin which means you can take positions in the market offering a higher exposure than previously available. Long or Short: CFDs give you the ability to buy the stock if you are bullish about the market or sell the stock if you feel the market will move downwards. Risk Management: The ability to “go short” means that you can hedge your stock positions therefore reducing your overall stock market risk. No Value Date: The contract has no settlement date and becomes effective from the date the order is placed. No stamp duty applicable on UK purchases and no GST added to fees and charges for Australian purchases. The basic way CFD trading works is as follows; if you believe the current price of HSBC stock will go up, you would enter into a CFD with a broker tracking the price of the HSBC stock. Suppose next week, the price of the HSBC stock rises; in this case, the broker pays the trader the difference between the current stock price and the price when the CFD was purchased. On the other hand, if the HSBC stock goes down in value, the trader will post a loss and the broker gets the difference between HSBC stock’s final value and initial value. CFDs can be used to trade on both upward and downward trends. In the real world, we need to consider the difference between different types of CFDs, margin and trading costs. How do CFDs work in Practice? You put down a deposit with your broker in a client account and this is used as collateral to allow you to trade. The level of “gearing” you can apply to the margin will determine the value of the trade and is usually determined by the individual stock. The trade is executed in the same way as for stocks. The account is valued “real” time and when the position is closed, the profit or loss is returned along with the initial margin. Each trade will accrue a commission charge, normally charged as a percentage of the trade value. Also, as your provider is funding on average 90% of the contract value, long positions will attract a funding (interest) charge and in turn short positions usually receive interest credited calculated. The funding charge is normally a small percentage above the current base rate for the country the CFD is traded on, for short positions this figure is a small percentage below the base rate. Despite the fact that you do not take physical delivery of the stock, dividends are still applicable. On long positions you will usually receive 100% of the dividend and on short positions you will pay out 100% of the dividend. Dividends on CFD positions are normally paid on the ex-dividend date rather than the payable date as with stocks. If you are looking to trade or scalp the market aggressively it could be useful to have direct access to the Order Book. DMA trading offers exact exchange prices, and allows traders to see market depth. This helps to give a clearer picture of the market for the stock and avoids the market maker situation. DMA trading is usually available on the leading exchanges but clients may have to pay additional costs such as exchange fees and sometimes slightly higher commissions. What Does Over-The-Counter OTC Mean?